balcony of the Witch" you can see a dome with a hole through which light enters. Worth to attend the sound and light show that takes place from Tuesday to Sunday. In the state of Campeche is Hopelchén, which is composed of several wildlife resources and archaeological sites among which stand Dzibilnocac, Hochob and Santa Rosa Ixtampac. In addition to these attractions, about 34 kilometers from the county seat can enter an underground cavity within which it is possible to look remarkable formations of stalagmites and stalactites. We refer to the Caves of Xtacumbilxunaan. "Xtacumbilxunaan" in Mayan language means "hidden woman". Definitely it is very advisable for people who like contact with nature walk. As an added value to your visit, the place was "improved" with a sound and light installation to provide a striking display in five different languages: Japanese, Italian, German, French and English. 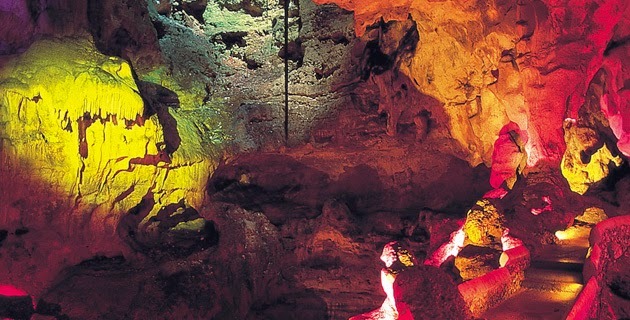 With more than 200 meters long, inside these caves you can find more than 30 geological formations. Xtacumbilxunaan Caves are located 115 kilometers northeast of the city of Campeche and 33 kilometers from the community of Hopelchén.